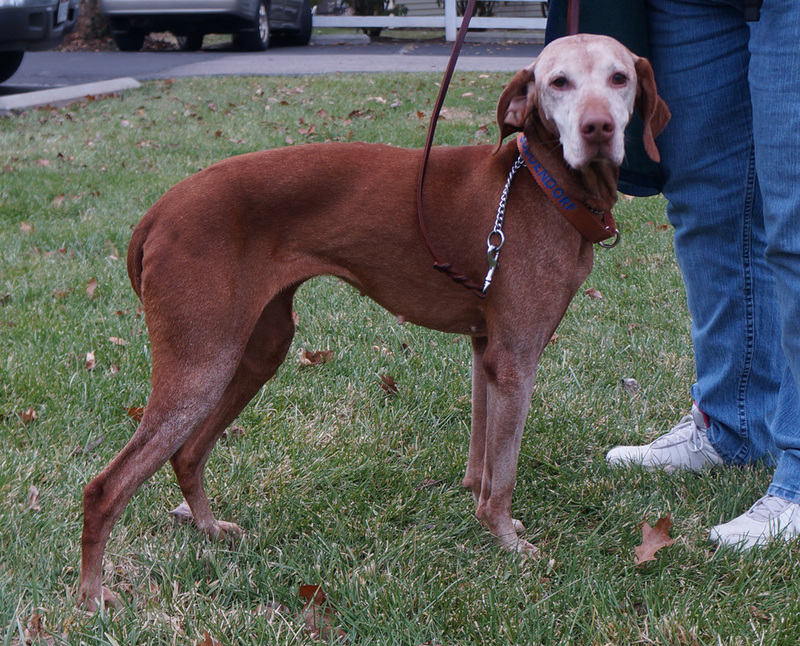 Millie - Buckeye Vizsla Rescue, Inc. I was turned into a shelter in southern Indiana. My records say that I am 7 years old, but as you see by my face, I am probably older. 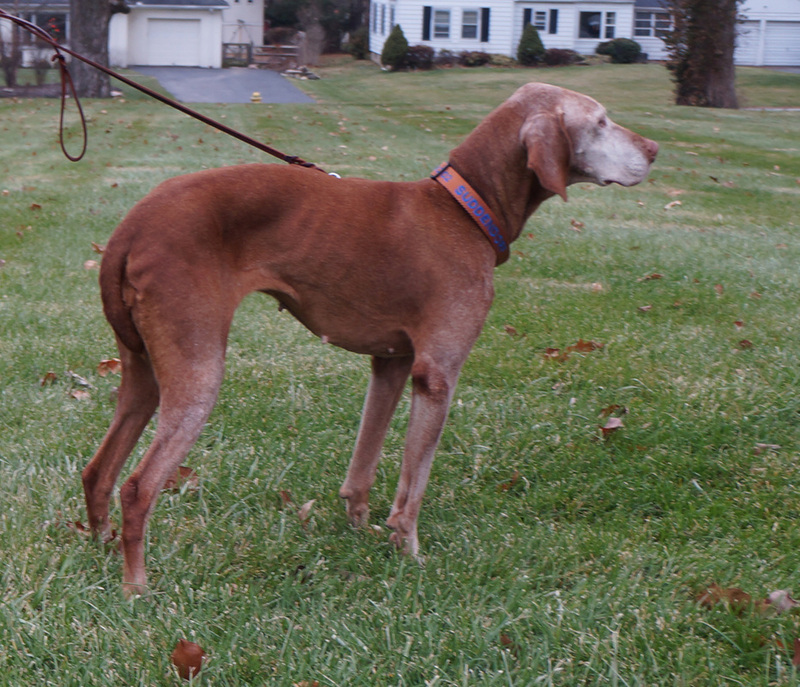 Then again, I simply love the look of gray on Vizsla Red! I am a petite girl, weighing about 35 pounds. I am comfortable in a crate, am housebroken, and figured out the dog door very fast. I don't have a lot of commands in my toolbox, but I love to learn. My foster Mother says that I am an EXPERT counter surfer-. This is important. I will always remind you to keep your house neat and all food put away! As you see by the pictures, I am not comfortable yet. The arched back is not a structure issue- I am just not sure about where I aim yet. 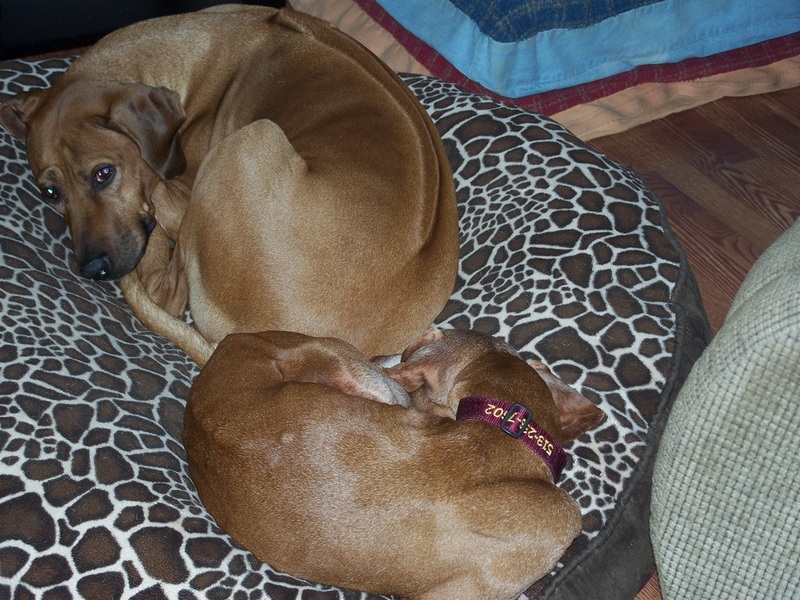 The records say that I have been in two homes, but since I am a dog, I can't tell my foster if that is true. I have not been tested with children and small dogs. But if Santa asked me what I want in a new home, I would say just adults and some dogs that I can be very comfortable with.